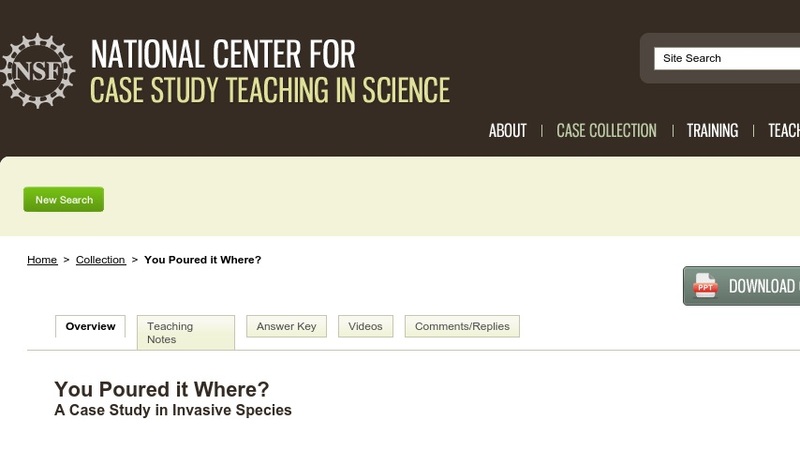 This case focuses on the invasive aquarium strain of Caulerpa taxifolia to introduce students to issues about invasive species. Specifically, students learn to identify some of the traits that make a species potentially invasive and explore how individual decisions can have big impacts on the ecosystem. The case uses a story/handout that sets the stage combined with a New York Times article for further background. The students are then guided through a series of PowerPoint slides (~5MB) in class that provide additional information, prompts for small group discussion, and multiple-choice “clicker questions.” The case is suitable for introductory biology and ecology courses.